Can you believe that it’s almost time for the Super Bowl? Many of you know that we made a move from NY to NC over the summer and I have to admit that we’ve fallen in love with the Panthers. Not just because they’re in the Super Bowl, but we love the comraderie they have with the city. 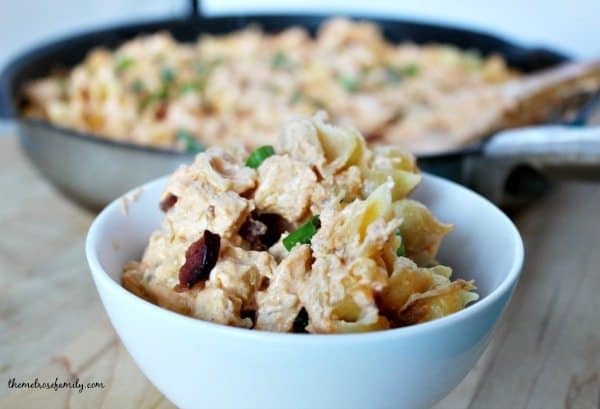 We plan on celebrating Super Bowl with a huge heaping of our Buffalo Chicken Pasta. 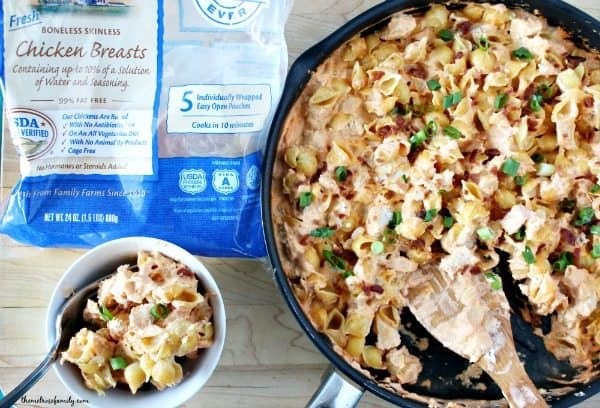 It’s the perfect meal idea that everyone will love. This post and recipe were sponsored by Perdue. Perdue provided me with free product and compensation in exchange for an original recipe. All comments, thoughts and reviews are my own. Anytime I think of football, I immediately think of spicy chicken wings. That’s largely due to the fact that my husband has programmed me this way. Football and wings go together in his world. Unfortunately, my girls are not huge fans of wings. 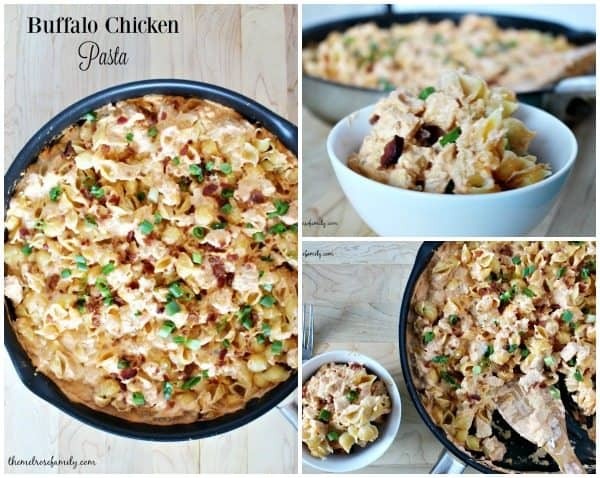 They’d rather have pasta so I decided to merge the two with this Buffalo Chicken Pasta. It’s a match made in heaven and thanks to Perdue Perfect Portions it doesn’t get much simpler. Plus, right now you can enter Perdue’s Winner Winner PERDUE® Dinner Selfie Contest for a chance to win a kitchen makeover valued at $10,000! Enter between January 10 and April 10, 2016. Learn more and enter today HERE. There are three (3) prizes available to be won. Each prize consists of five (5) $2,000.00 Lowe’s® Gift Cards for a total of $10,000 in gift cards. Total Estimated Retail Value of each prize is $10,000. Total ERV of all prizes combined is $30,000. Terms and conditions apply to gift cards; see front and back of gift cards for more information. Limit one prize per person and per household for duration of contest period. Potential winners will be notified on or about February 15th, March 15th and April 15, 2016. No purchase necessary. See Official Rules for complete details HERE. 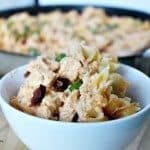 A comforting Buffalo Chicken Pasta that everyone is sure to love. In a large sauce pan over medium high heat cook the cream cheese and red hot until it is a liquid. Meanwhile, cook the quinoa pasta according to the package directions. To the cream cheese & red hot mixture, add in the chicken broth, paprika, and garlic powder over medium low heat. Add in the blue cheese and sour cream and cook until it is combined. Add in the shredded chicken and stir well. Drain the quinoa pasta once it is cooked and add into the buffalo chicken mixture. Top with bacon bits and chopped green onion.